Gender, like lasagna, is often multi-layered and complex. That doesn’t mean they go together. 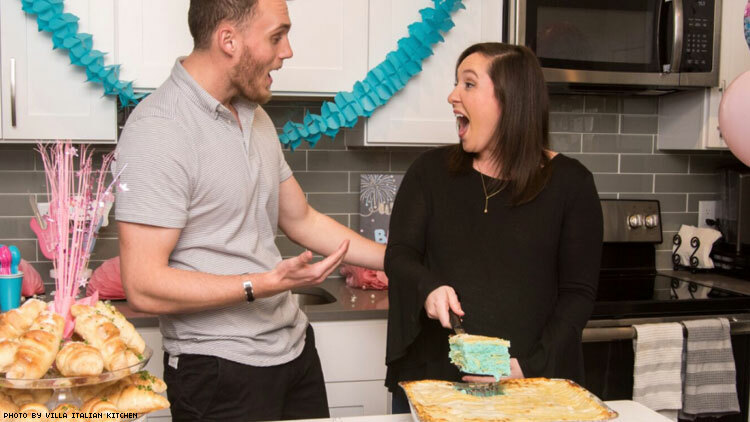 Prior to setting their sights on Italian comfort food, gender-reveal parties have started wildfires that caused millions of dollars in damage and left parents with broken bones. Not to sound like someone’s old drunk uncle, but I remember back in my day when the cheese in lasagna was white — not blue or pink! That’s not appetizing! These kids today have no respect at all. One dish of lasagna serves 12 people — not that anyone who would order this deserve to have 12 people come to their event. Villa Italian Kitchen wants to make sure even those who can’t make it to a carb-filled celebration of cis-ness to feel included, so they’re encouraging those who purchase this heteropatriarchal pasta dish to share their reveals with #LasagnaReveal. I’m not Italian, but I am from New Jersey, and I believe that most Italians would prefer lasagna made from their grandmother’s recipe. And I think most children want to reveal their own gender, thank you very much!